First impressions of your business begin when your customers walk through the door. If you have a small office that has seen better days, let our team lend a hand with our Small Office Cleaning services. We’ll provide you with a clean and healthy workplace ready to welcome any visitor that may stop in. As a family-owned company, we have a soft spot for small businesses and entrepreneurs. We understand your time is scarce and it needs to be focused on your most valuable asset- your customers. However, we also know the benefits of a clean office can have a large impact on how your business runs day-to-day. That’s why our whole team is dedicated to supporting your business the best way we know how: exceptional office cleaning! Our unique small office cleaning solutions are flexible and affordable. 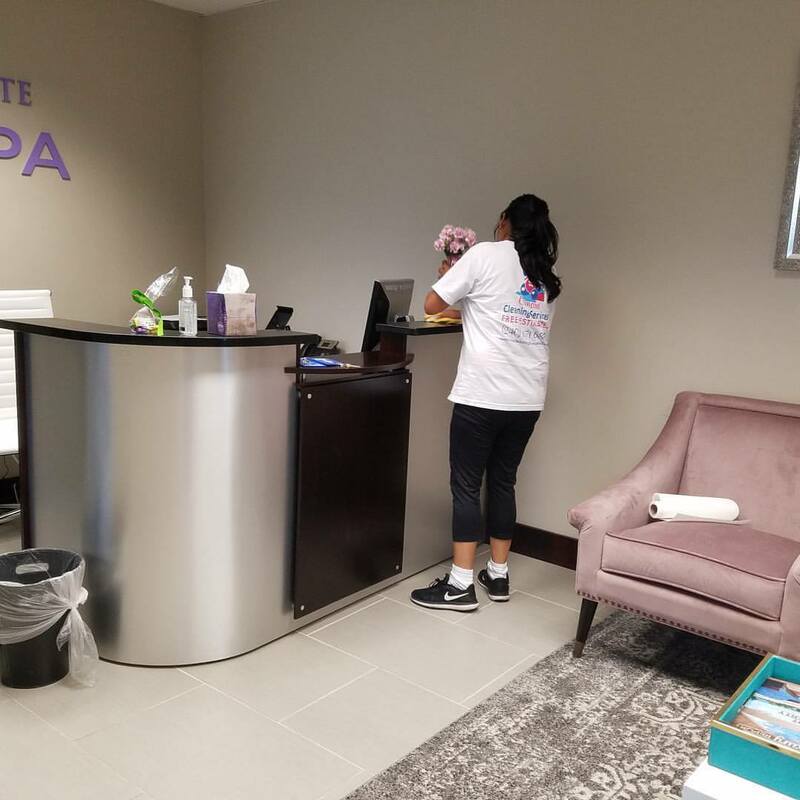 Providing cutting-edge-services, our team will assist you in decreasing stress and employee sick days, by promoting a healthy and organized work environment. We offer cleaning plans tailored to your schedule on a weekly, bi-weekly, or monthly basis. Looking to limit disruptions during business hours? We would be happy to come by on weekends and evenings to get the job done right! Our esteemed cleaners focus on eliminating clutter and dust while sanitizing to reduce the spread of illnesses in your workplace. We provide a comprehensive cleaning of your office, including common rooms, kitchens, bathrooms, employee offices, break-rooms, and entryways. We are all about customizable solutions, so let us know where you need help the most, and we’ll make sure those spaces are in tip-top shape for your employees and customers to enjoy.